Wade Watts is born in the year 2044, when the Earth is in shambles and most people live in trailers stacked on top of each other. The only thing that keeps humanity going is an online world called OASIS. In OASIS you can choose the features of your avatar and tone of your voice. All you need to do is put on a pair of video glasses and you’re transported into an online world where kids attend virtual school and everyone spends their free time completing quests and exploring the endless game worlds. OASIS is threatened to be taken over by a large corporation looking to make money off of the free virtual reality. That is, unless Wade can become the best OASIS player and beat them to the finish line. This was such a fantastic dystopian novel! I loved Wade as a protagonist–he had a very complex brain that held thousands of facts about pop culture of the past decades. His friend and love interest, Art3mis, was a great secondary character and definitely a strong female role. Their dynamic was very fun and put a smile on my face. 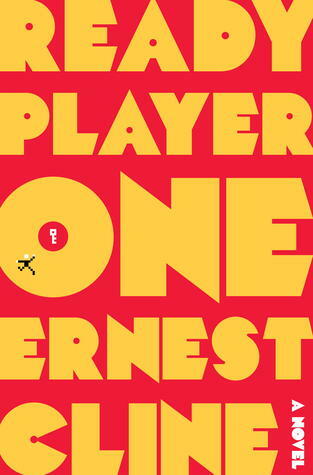 Many dystopian novels these days are repetitive but I’ve never read or heard of anything quite like Ready Player One before. Pop culture from the 1970’s-1990’s is such a prominent theme in this novel and multiple facts about classic video games are thrown into each chapter. I feel like I learned a lot about old movies, songs, and games while reading this book. That was a great twist to the storyline. Even though I finished this book in only a few sittings, I still feel very attached to Wade and the future Earth he lives on. It’s interesting to think what our lives would be like if people spent all day in a virtual reality. It’s no wonder that Wades world became trashed and abandoned by humanity. Long story short, this is a great read that can fall into both the young adult and adult science fiction categories. Please pick up this book!